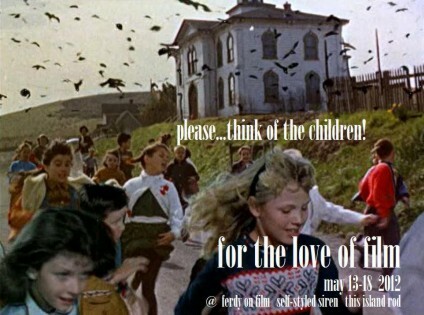 Last week saw the For the Love of Film: The Film Preservation Blogathon, in which bloggers around the world took on the themes of Hitchcock or silent film or film preservation, or combinations thereof. Organised by organisers the blogs Self-Styled Siren, Ferdy on Films and This Island Rod, the inspiration was the recent discovery of part of The White Shadow (1923), the film on which Hitchcock served as art director and assistant director (the director was Graham Cutts), the goal being to raise funds through donations to enable the National Film Preservation Fund to put the film online with music score, for us all to enjoy. The sum required is $15,000, and sadly as of today the campaign has raised $2,140 [Update: as of 21 May it is $6,490]. This is disappointing, especially as previous such preservation blogathons have achieved their targets. Maybe it’s the global economy; maybe people out there like reading about Hitch but don’t feel too passionately about watching Cutts; or maybe there’s simply been so much to read that they haven’t had time to donate as yet. Well, there is still time, and with a 100 or so bloggers who signed up to the blogathon, each of which should easily be getting 150 viewers per post (and in some cases a great deal more), it only requires each reader to donate one dollar to hit the target. Do the math, then hit the Hitch to your left. As encouragement, here’s a listing of the For the Love of Film posts which have related to silent Hitchcock or silent films in general. 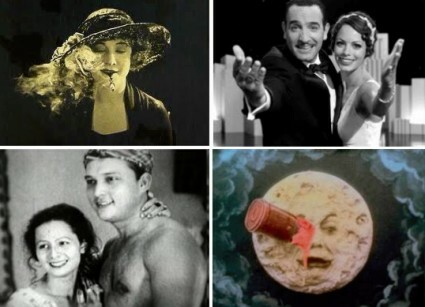 If I’ve missed out any relating to silent films, do let me know, and I’ll add them to the list. 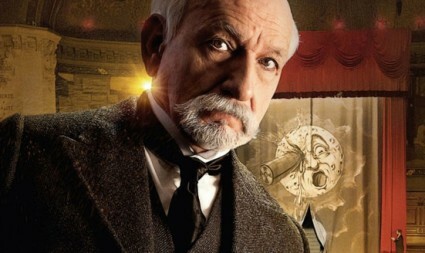 Instant 3: Silent Era Cinema – Jason Hedrick picks three very different silent films each available on Netflix: Hitchcock’s The Manxman, Sherlock Jr. and Un Chien Andalou. Tod Browning and Lon Chaney – Partners in Madness and Obsession – Sean Axmaker consider the preservation and restoration of films from the silent era. 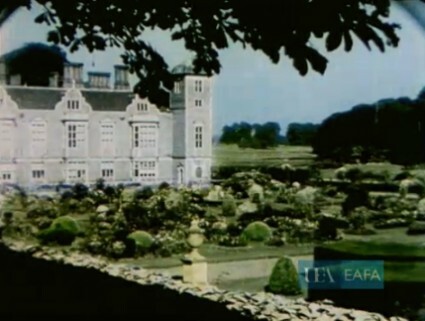 On Hitchcock’s Home Movies – A different sort of silent Hitchcock film is consider by Dwight Samson on the Home & Amateur site – his home movies. The White Shadow – Jandy Hardesty tackles the particular matter in hand – the discovery, preservation and screening of The White Shadow. Hitchcock’s earliest blonde – Didion at Feminéma considers the star of Hitchcock’s The Manxman and Blackmail, the Czech actress Anny Ondra. The Mountain Eagle – At Strictly Vintage Hollywood, Donna L. Hill looks at Hitchcock’s lost feature film, The Mountain Eagle (1926). Passionate Adventure – from the same blog, courtesy of Mary Mallory, the production history of The Passionate Adventure (1924), another film directed by Graham Cutts with Hitchcock’s production assistance. The Pleasure Garden – again from Strictly Vintage Hollywood, here Joan Myers looks thoughtfully at Hitcock’s first feature film, the programmer The Pleasure Garden (1925). An introduction to silent Hitchcock – The Pleasure Garden – Silent London also looks at The Pleasure Garden, as part one of a series on silent Hitchcock. 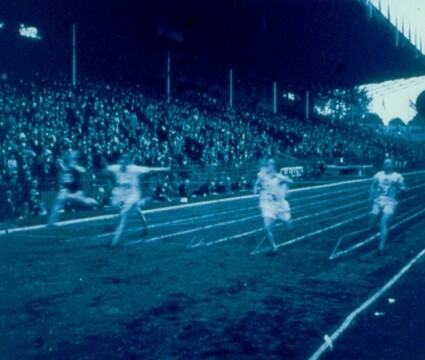 The White Shadow and Streaming Restored Films Online – a particularly interesting post from Daniel Eagan on the challenges (and limitations) of presenting restored films online. On The Lodger – The End of Cinema looks at The Lodger from the point of view of Hitchcock’s later films. On Champagne – The End of Cinema also reviews Hitchcock’s minor work Champagne (1928). Buster Keaton’s Love Affair (with trains) – ignoring all this Hitchcock stuff, the Spoilers blog looks at Buster Keaton’s debt to the steam locomotive. No good deed goes unpunished – the prize for best blogathon post title goes to Christianne Benedict at Krell Laboratories for her study of The Pleasure Garden. 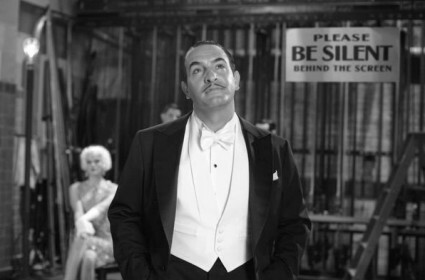 Alfred’s Centennial – also at Krell Laboratories, guest blogger Lokke Heiss reviews the Hitchcock silents on show at the 1999 Pordenone Silent Film Festival retrospective. The Ring (1927) – Icebox Movies has mixed feelings about Hitch’s boxing move. 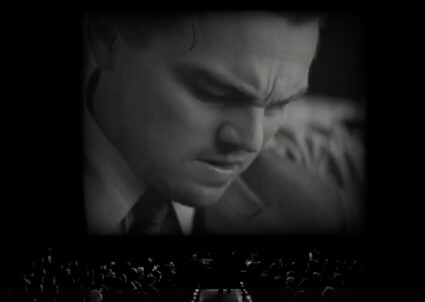 Cannes Classics 2012: The Ring (1927) – whereas We Talk About Movies is more positive about its use of visual imagery. For The Love of (Women-Directed) Film – The Movie Review Warehouse calls for more women directors to be included in lists of notable films from the silent era. The Farmer’s Wife (1928) – The Garbo Laughs blog has a thoughtful take on one of Hitchcock’s least known films, the rural comedy The Farmer’s Wife. 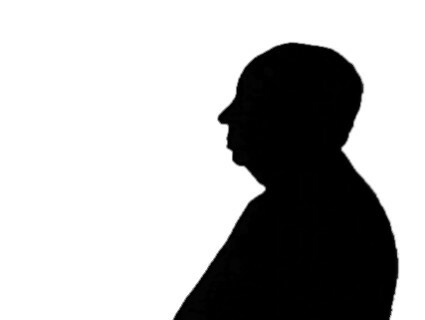 Hitchcock — Club: Royal Auto – Joe Thompson delves for mentions of the not-yet-that-famous Alfred Hitchcock in the film trade year books of the period. Easy Virtue (1928) – Chris Edwards at Silent Volume reviews Hitchcock’s neglected stab at filming Noel Coward. My Top 13 Films That Need Preservation – Dr Film’s Blog calls for the preservation of some obscure but fascinating titles, mostly silents. So no one took up the challenge of Downhill or even Always Tell Your Wife, eh? Nor the silent Blackmail, which is the greater surprise. You can find all of these posts listed and illustrated on The Bioscope’s sister news site courtesy of Scoop It. 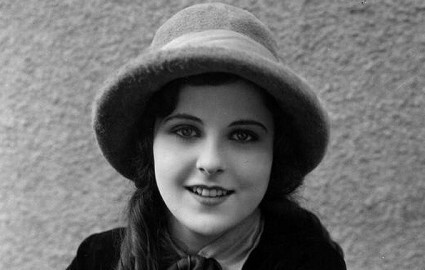 Seeing Double: Twins in the Silent Era – the Tumblr Brookie’s Silent Film Collection takes The White Shadow as the starting for a knowledgeable consideration of twins in silent films. Bloggers are good people, or we strive to be, and what better evidence of this could there be than For the Love of Film: The Film Preservation Blogathon. A blogathon is where bloggers each write on the same theme on each of their respective blogs, linking to other blogs doing the same. The Film Preservation Blogathon, now in its third year, takes film history as its theme but goes that much further by raising funds for film preservation (i.e. a PayPal button appears on blog posts encouraging everyone to contribute their little bit). 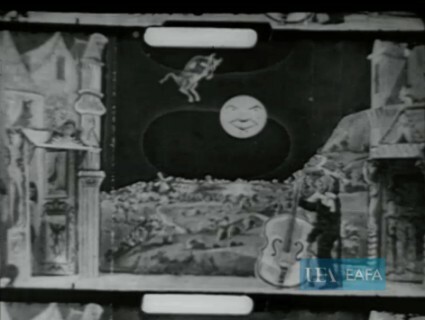 In its first year the Blogathon raised funds to enable the National Film Preservation Foundation to restore The Sergeant (1910) and The Better Man (1912), two of the silent-era American films whose discovery in the New Zealand Film Archive we reported at the time. Last year funds were raised to help the Film Noir Foundation restore Cy Endfield’s The Sound of Fury (1950). The subject of this year’s Film Preservation Blogathon is Alfred Hitchcock. 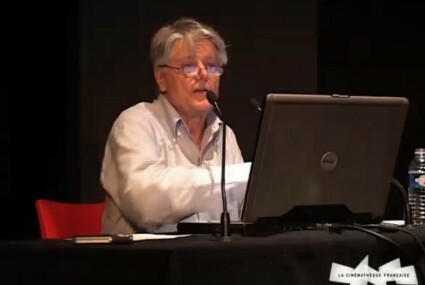 The aim is to raise funds to enable last year’s great discovery, The White Shadow (1923), directed by Graham Cutts with Hitchcock serving as assistant director, art director and more, to be put online by the NFPF with music score (for four months only, presumably because of ongoing hosting costs). This excellent and imaginative objective will cost in the region of $15,000. The Blogathon runs 13-18 May 2012, and you can read more about it on the blogs of its three organisers, Self-Styled Siren, Ferdy on Films and This Island Rod. There will be more information on how to participate, and how to contribute donations, on each of those blogs as the date gets nearer, or follow all developments on the For the Love of Film Facebook page. Hitchcock, British silent films, silent film scores, film preservation and the people who do it (but please, as much as we love and revere him, no tributes to Martin Scorsese), the suspense genre, the stars of The White Shadow, Graham Cutts, and other related esoterica. The Bioscope fervently hopes that at least one Graham Cutts blog post appears out of this (an entire Graham Cutts blogathon was always going to be a bit of a folorn hope). The man has never been so famous, and now’s the time to give him his due when people will be listening. We’ll do something for the Blogathon here at The Bioscope, and fingers crossed we’ll all be able to see The White Shadow in the not so distant future. 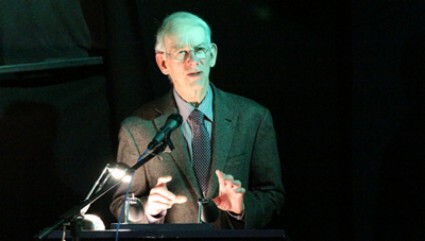 Just a short note to alert you to the existence of a video made of a talk Kevin Brownlow gave to the Centre for Research in the Arts, Social Sciences and Humanities at the University of Cambridge on 20 October 2011. 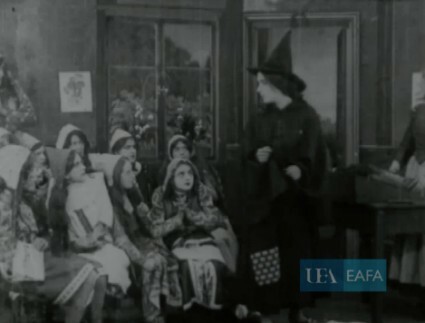 Entitled ‘The Impact of Silent Film‘, it is a lecture with film clips and runs for 93 minutes. When I saw the title I wondered whether Kevin had been cajoled into delivering some bold piece of socio-economic analysis which would seek to prove to government that watching a silent film a day will make each one of us healtheir, wealthier and wiser (and who’s to say if that might not be true?). But instead it is an account of silent films as the progenitor and pinnacle of motion picture art (“every visual advance, except CGI, was invented before talkies”), demonstrating innovation from “single-shot films of 1893 to the monumental epics of the 1920s”. It is illustrated with clips from his celebrated Hollywood series (albeit filmed from the screen in the Cambridge lecture theatre) and shows that his great belief in the medium continues completely unshaken.